Its time to send in my latest submission to The Crafty Mail! I had such a great experience the first time I had sent in some gift tags to the monthly handcrafted subscription service, The Crafty Mail, that I applied to send in some more sample tags to be sent out in the November box. Starting this October, Kelly from The Crafty Mail has designated themes for each box. And since I love a good theme, I jumped right on board! November has been named the “Harvest” month, so after some brainstorming and rough drafts, I landed on a falling leaf design to use as one of the gift tags that I was going to create. 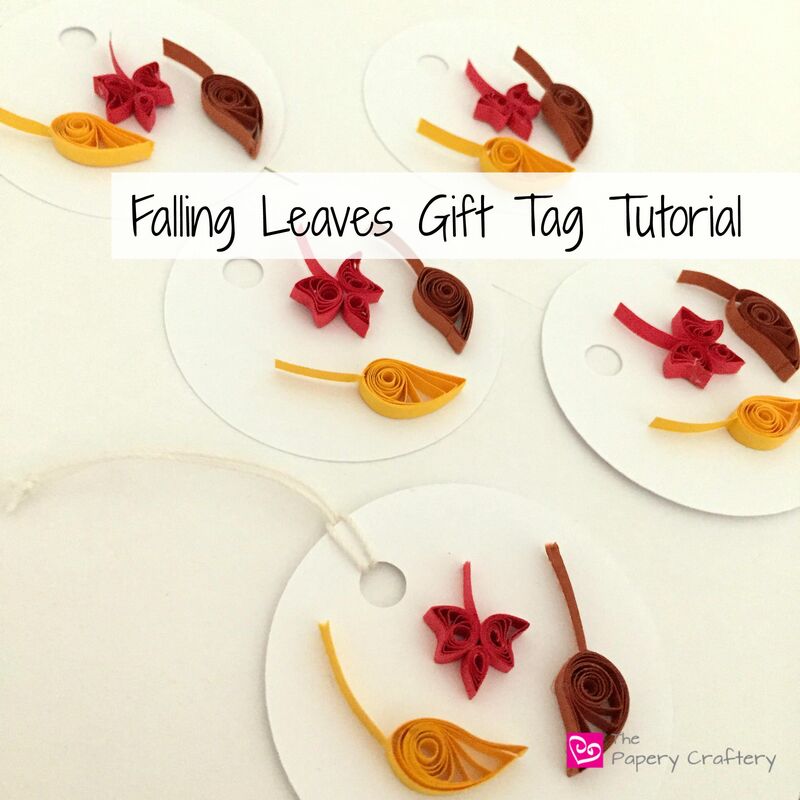 And, in case anyone wanted to roll some fall-themed quillings for themselves, I thought I’d write up a falling leaves gift tag tutorial! The first leaf that I quilled was a red maple. 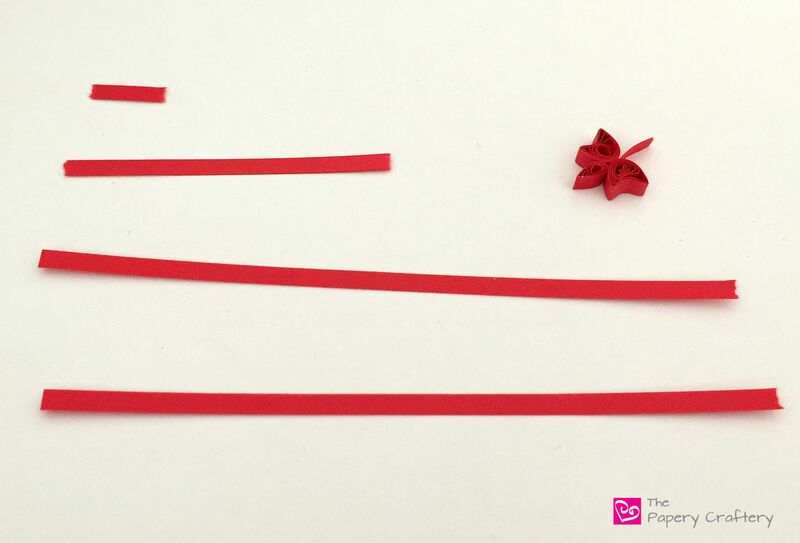 I measured out two 4 inch strips and one 2 inch strip of red quilling paper to make the maple leaf, and one 1/2 inch length for each stem. Roll each of the 4 inch strips into a loose coil. Next, push in on one side of the coil, while pinching the peaks to create a bunny ear shape. Then, quill the 2 inch strip into a teardrop shape. Using a little white glue, join the coils together to create the 5 points of the leaf. Once the 3 parts of the maple leaf were joined, I added a teeny stem to the end. And that is that for the maple leaf. To create the other 2 leaves for the tags, I used 8 inches each of rust brown and dark yellow quilling paper and rolled shaped teardrops from both. After adding a 1/2 inch stem to the end of the leaves, the result was sort of a hooked elm leaf shape. I added my autumn leaves to a 2 inch white tag, but they would work really well in a fall themed card, or in a larger quilling piece, jazzing up some fringed paper mums. I’m so thrilled to be shipping some new tags off to The Crafty Mail and I hope some of my crafty friends are inspired to create their own quillings. I’d love to hear what you’re creating! Leave a comment below! Very cute! They look intricate, yet not too, too difficult (at least if I had/have the right supplies!). Love how the finished tags came out. Thanks Lauren! 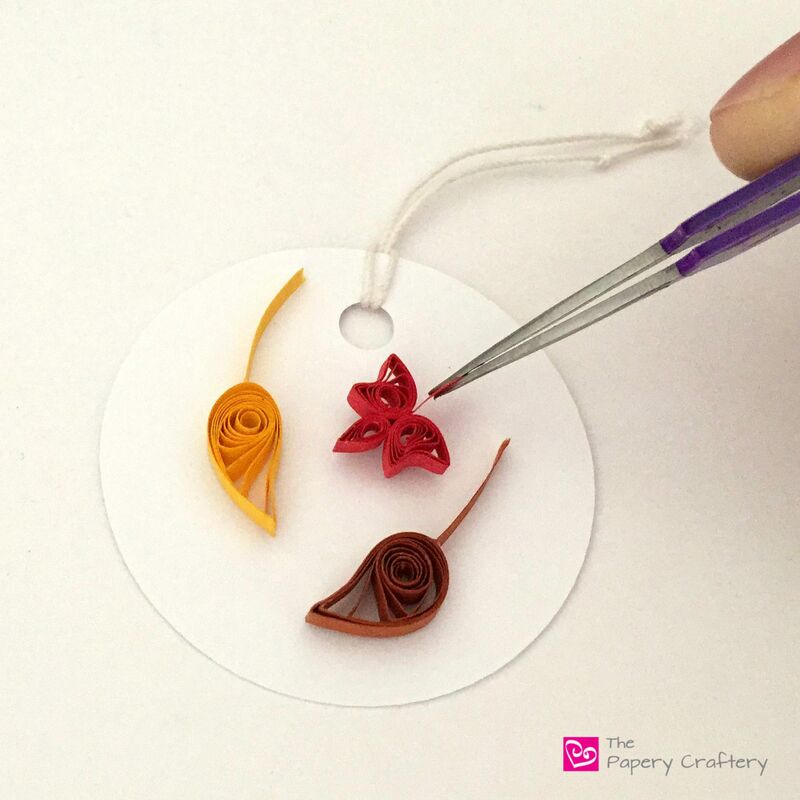 If you ever decide to learn quilling, it’s super inexpensive to start! How cute!!!! 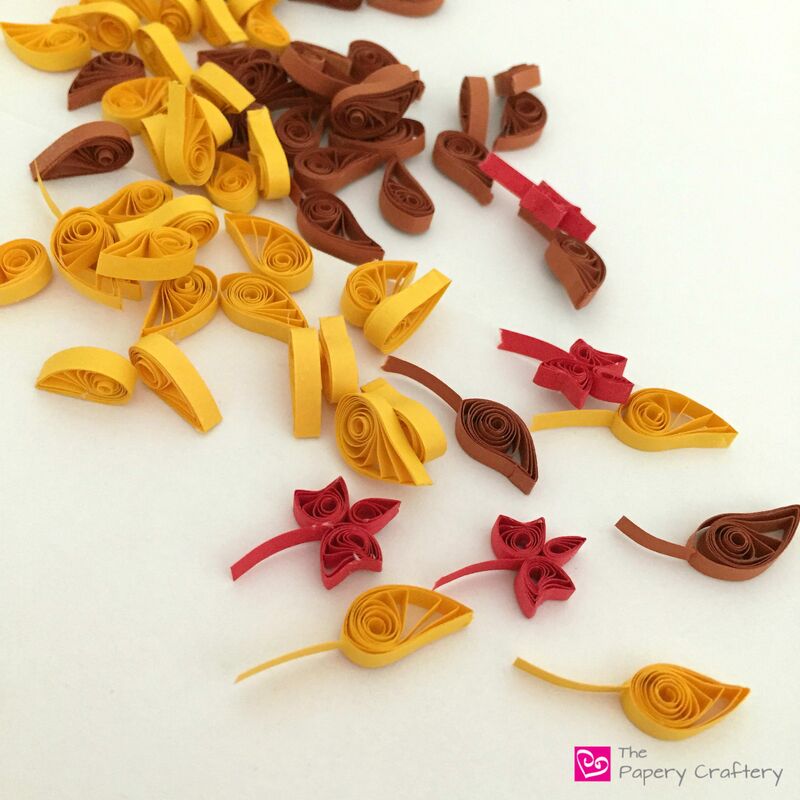 I’ve never tried quilling but it looks like so much fun! I love the photo that includes your hand, I was shocked how tiny the leaf was. It gives a great prospective. Thanks Chelsea! 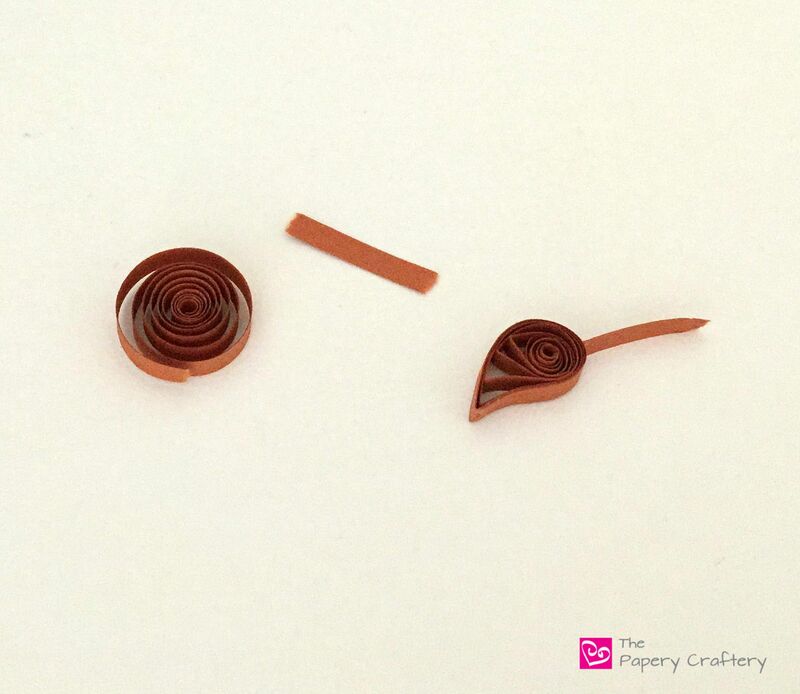 I love quilling mini’s!